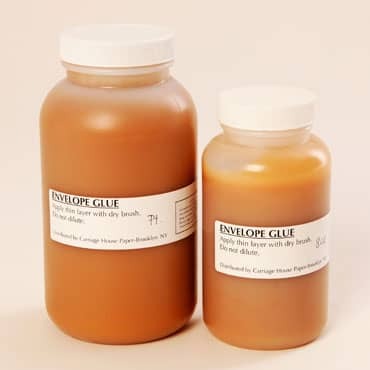 A special glue that is re-moistenable. May be brushed or rolled onto the flap of an envelope. Dries quickly, and can be moistened again to seal the envelope.